In a list that signals more continuity than radical change, the Bharatiya Janata Party (BJP) has announced its candidates for 184 of 540 seats, for the forthcoming Lok Sabha election. Most notably, party veteran Lal Krishna Advani has not been given a ticket from the Gandhinagar seat from which he has won six times. Naturally, the 91-year-old Member of Parliament (MP) and former deputy Prime Minister, being denied a seat has raised eyebrows. It sends a clear signal that party president Amit Shah — who as been allotted the Gandhinagar seat — has now inherited the party legacy. 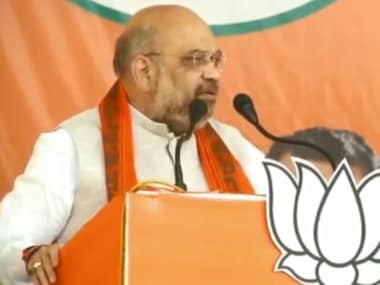 Shah getting the ticket also indicates the party’s desire to consolidate its hold over North Gujarat, where the BJP chief has a strong following. In previous elections, Shah had even managed the electoral campaign for Advani in Gandhinagar. 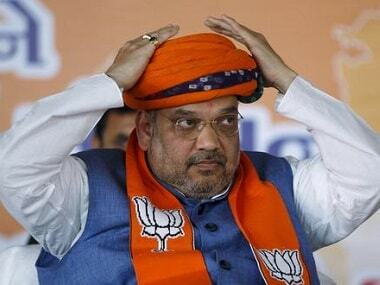 So far, Shah is the only Gujarat candidate declared by the BJP for the state's 26 Lok Sabha seats. At least within the party in Gujarat, the nomination of Amit Shah, for his first Lok Sabha contest, was welcomed by workers. Gujarat, being Prime Minister Narendra Modi's home state, has a symbolic value and carries a prestige. 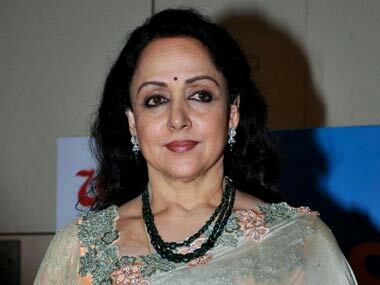 Advani's son Jayant has not been given the ticket as was initially speculated, along with his daughter Pratibha. It is Advani who is credited with building his party up from scratch, scoring electoral victories in the nineties after his Rath Yatra across the country to push the idea of constructing a Ram temple in Ayodhya. Advani's career and that of the Prime Minister Narendra Modi were inextricably linked, right up to the early 2000s. It is Modi who had encouraged Advani to contest from Gandhinagar. 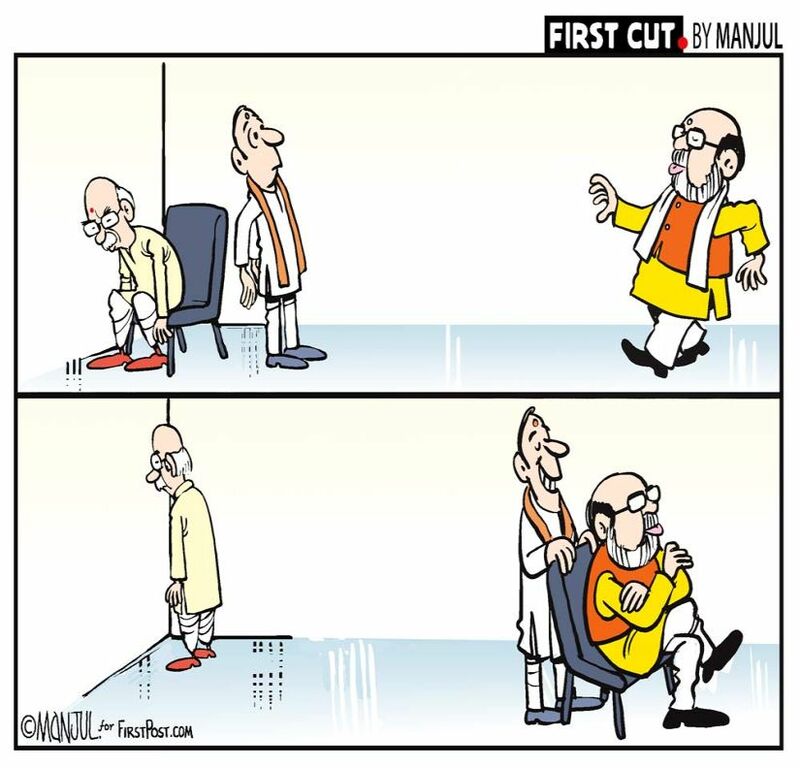 After the Lok Sabha election in 2014, Advani had been in charge of the party’s margdarshak mandal, an informal think-tank, which did not end up being very active. Advani had strongly opposed Modi's selection by the party to lead the 2014 election campaign of the party and be its prime minister face. Some other members of the margdarshak mandal including Murli Manohar Joshi, Sushma Swaraj, Shanta Kumar and Kalraj Mishra are not contesting the upcoming general elections. Opinion on the tall leader within the BJP, who has his own following too, not getting a ticket will no doubt be divided. 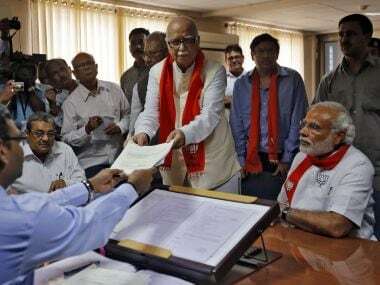 However, Advani has become very old, and, as the BJP’s leaders have pointed out, the oldest parliamentarian has said that he would not wish to contest elections for a seventh time. The only caveat here is that Advani himself did not announce plans to retire from active politics. Besides, his not joining the electoral race raises the possibility that the doors of the Rajya Sabha are not closed for the veteran parliamentarian. Advani is one of the 24-odd MPs who have not been renominated by the BJP in its first list of candidates. The BJP appears to have striven more for continuing with its existing MPs rather than replacing them. The prime minister will also contest from Varanasi. Smriti Irani has once again been given a ticket to contest from Amethi, where she was defeated by Rahul Gandhi by a 1 lakh margin in 2014. 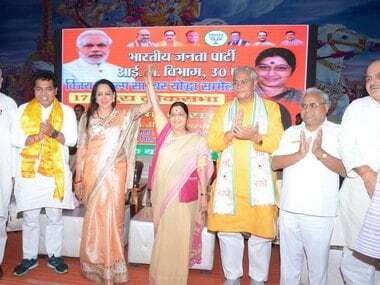 Ever since that election, in which she has put up a spirited fight, Irani has been visiting Amethi regularly and is expected to put up a tougher contest than last time. 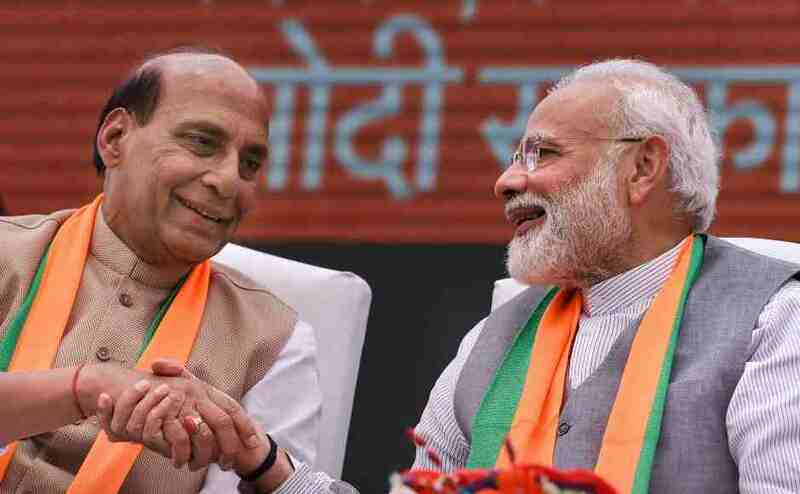 Nitin Gadkari, Hema Malini, Rajnath Singh, Mahesh Sharma and Babul Supriyo, VK Singh, Bhartendu Singh and Satya Pal Singh are among the party’s other repeat candidates who have been prominent in the news over the government’s term so far. In fact, there were expectations that there would be a much wider rejig of candidates getting tickets, with speculation that upto half the ruling party’s MPs would not be renominated. The tickets announced so far by the BJP mostly cover the regions and constituencies where the Opposition parties or alliances have already declared their candidates. This is a sign of how nail-biting the coming elections are going to be. The list of ticket-gainers in the BJP can be described as unexpected and yet not unexpected. In Bihar, with the grand alliance including the Rashtriya Janata Dal, the Congress and others yet to announce their candidates, the BJP’s own contestants are yet to be declared. There are a few reasons why the BJP has signaled such continuity. By changing a larger number of candidates a party can open itself up to the risk of existing MPs turning rebel. It is also worth speculating that the party does not have enough candidates to replace existing ones. In addition there is also the question of loyalty — those who have been loyal to the Modi regime have been rewarded with renomination. By continuing with existing MPs and announcing them after the Opposition has declared its list, the BJP also ensures that there will be no defections to the rival camp. Nationally, so far, Congress has declared 128 candidates. The BJP replacing barely 10-15 percent of MPs on seats indicates that it also wants to avoid opening itself up to the charge that its MPs failed to perform. This is why, other than Advani, there are no big surprises in the candidates so far announced — other than Advani. All said, it is not a shocker that Amit Shah is the party’s Gandhinagar candidate. Even before the 2014 Lok Sabha polls it was being speculated that the veteran parliamentarian would shift to Madhya Pradesh and Shah would contest from Gandhinagar. This did not happen the last time, though Advani’s victory in 2014 was partly attributed to Modi’s popularity. How the so-called Advani camp in the BJP responds to the party’s decision not to field him again remains to be seen.